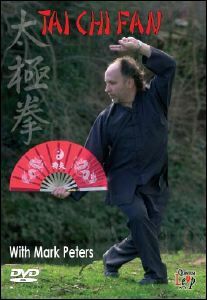 Tai Chi fan is an expression of the internal art of Tai Chi Chuan combined with the elegance of the fan. It is a Chinese symbol of royal power. his form allows you to internalise this power. This gentle graceful routine was orignially developed by Grand-Master Tan Ching Ngee, of Singapore, and taught directly to Mark Peters as one of his senior students. It was developed around the Cheng Man Ching style of Tai Chi and incorporated many other aspects of Master Tan Ching Ngee’s 40+ years of internal martial art knowledge. Designed for practitioners of all levels, beginners to advanced. the form is shown from two camera angles followed by demonstrations from in fromt and behind for clarity.